Halloween Week! Horror Flicks! Special Beer Pairings! 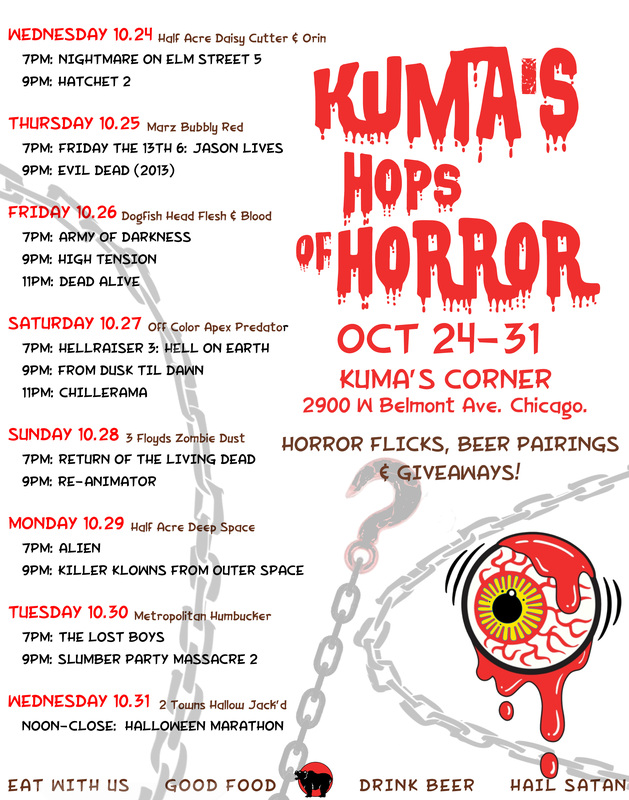 Come hang out while we throw up some of our favorite horror movies on the screen. Order the following beers on the date listed from 7pm-Close to win some Kuma’s Merch and brewery swag! *Note: We’re not playing sound with the movies. We’ll be jamming our usual tunes.